E.T., The Extra-Terrestrial is world's most famous homesick alien, but homesickness goes back a long way in history. At some point, it was "understood as a brain lesion", now it is considered a "normal" reflection of a "person's attachment to home, native culture and loved ones", unless its severe, in which case it is called Separation Anxiety Disorder (SAD). Psychologists - they do love acronyms. My favorite, recently invented, psychiatric disorder is ODD - Oppositional Defiant Disorder. It is defined as "ongoing pattern of disobedient, hostile and defiant behavior"; Another way of saying "non-conformity is a mental illness". And for those who tend to depend on other people, we have DPD - Dependent Personality Disorder. 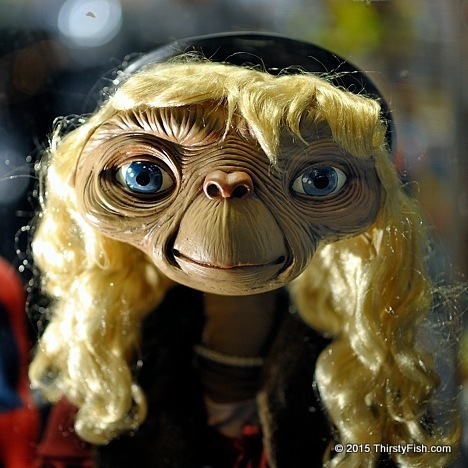 No wonder E.T. wanted to leave earth. At home, they do not make him feel like he is diseased just for being alive, and put him to sleep with depressants.